The 6th China Hainan Culture Festival of International Tourism Real Estate & Sanya Spring Real Estate Exhibition kicked off at Dadonghai Square on Feb.11, and will run for 4 days. 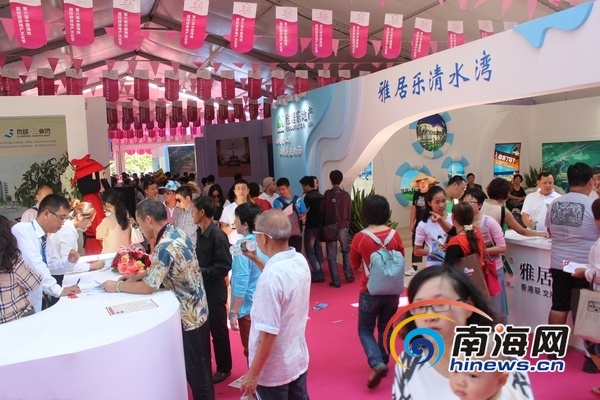 More than 60 real estate companies in Hainan are attending the event to showcase their tourism properties for residents and tourists. Sanya, boasting a tropical maritime climate, fantastic air quality, and rich marine tourist resources, has attracted many home buyers. As of 18:00 pm on the day, the exhibition has seen 53,000 visitors, with sales totaling 30 million yuan.